IF YOU’RE after the real deal when it comes to art, a well-known Surrey curator, collector, sculptor and talent spotter is putting some 200 key pieces under the hammer this month. Whether you have £80,000 or £80 to invest, there will be something for everyone at Eddie Powell’s single-owner auction on Tuesday, June 23. ‘Eddie’s Eye 2’ sale includes sculptures, paintings, object d’art and furniture, and will be at Summers Place Auctions over the border, in Sussex. 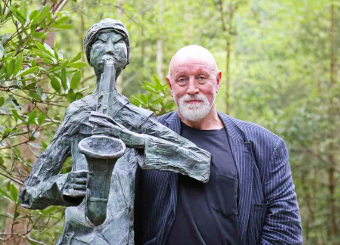 Perhaps best known as owner of the Sculpture Park in Churt, Eddie has been collecting an eclectic mix of art over the last 40 years. 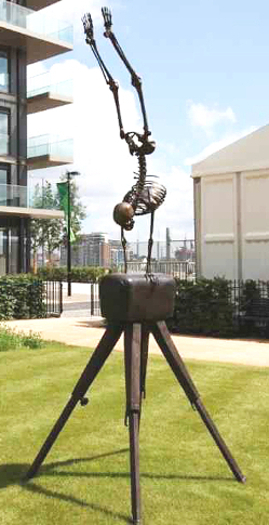 He told the News & Mail: “Creating the Sculpture Park and building up my collections has been the passion of my life, but moving to a smaller house has necessitated the sale of many items I’ve enjoyed over the years. Director of Summers Place Auctions, James Rylands, said: “I’ve known Eddie for 10 years and have always been an admirer of his taste across many disciplines, as well as his unerring ability to nurture upcoming artists. 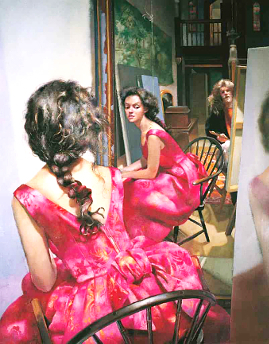 Eddie is an avid collector of the late (2002) iconic artist Robert Lenkiewicz, and the sale will include more than 40 of his pictures and prints, from £80 to £100 and £20,000 to £30,000 for top lot. splaceauctions.com, where you can also find out how to make a bid.